This handbag offers the perfect combination of wild distinction and pure luxury.With its free-hanging fur tails made of 100% authentic Barguzin sable, we have integrated both the natural wildness of pure sable fur and the refinement of the finest modern handbag fashions. We use the entire sable coat and complete this bag with two supple leather shoulder straps, two interior, and two exterior pockets. 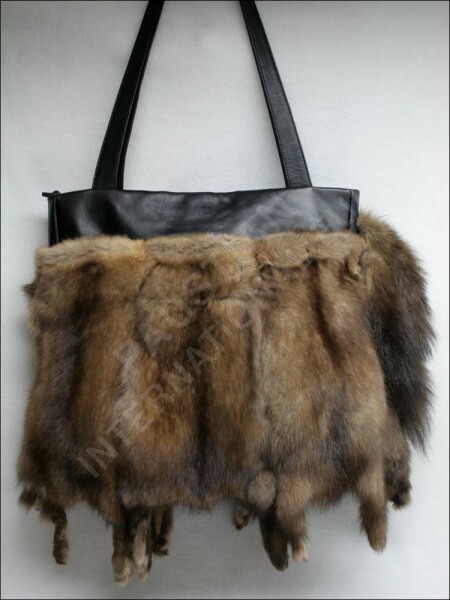 Related links to "Stylish sable fur handbag made of authentic Barguzin sable"
Customer reviews for "Stylish sable fur handbag made of authentic Barguzin sable"